While it’s often said that “location is everything” in real estate, it also holds true in the wedding industry. Today’s brides are seeking out unique venues and expert event planners to help them pull off their big day. A wedding presents a host of logistical challenges. One consideration that brides often overlook is restroom facilities. 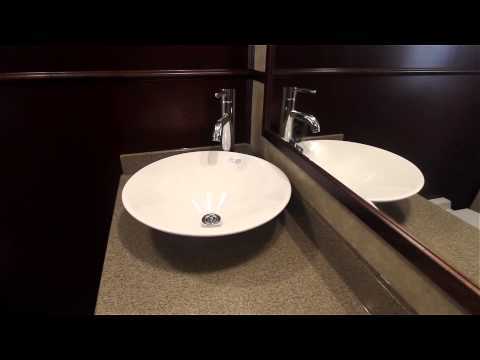 The restrooms should reflect the elegance of the event, and Portable Restroom Trailers, LLC is poised to offer a wide variety of luxury portable restrooms for all your wedding needs. Whether you are an individual planning your own event, or a venue looking to invest in portable restroom facilities, PRT is here to help! 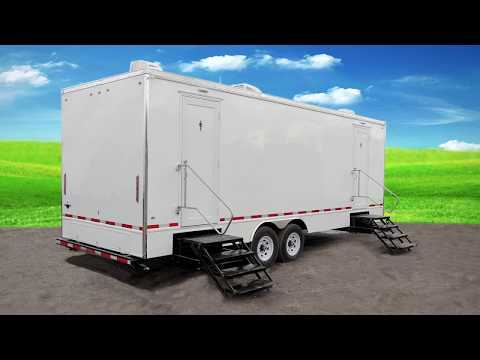 Let us help you select a Portable Restroom Trailer for your wedding! If one word could sum up wedding planning, it might be “budget.” A portable restroom trailer has to make sense to your bottom line. Our knowledgeable sales staff can work with you to select the appropriate luxury restroom trailer to meet your needs and your budget. It is also important to consider how the unit will be used. Our experts will ask you important questions such as: “How many guests does the venue accommodate?” or “Are you seeking a high-end trailer with amenities such as fireplace, or something that’s simple and classic?” We can then point you to an appropriate unit from one of our lines designated for weddings. Working with PRT to secure a portable restroom trailer is an investment in your business. Offering brides and their guests a portable restroom trailer for their weddings is one less thing they have to worry about on the big day. It is also one consideration your competition isn’t taking into account. It can elevate a venue to a whole new level, providing a basic necessity in a style fitting of the affair. Multiple Dates Booked In Different Locations: Are you a busy event planner with several weddings to execute in various locations throughout the season? 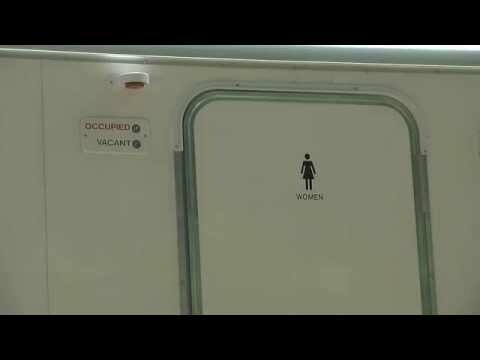 Rent a portable restroom trailer from PRT. We will handle the delivery, cleanup, and everything else related to the restroom facilities for each event. Season Long Rental for One Location: This is great option for an up-and-coming wedding venue looking to enhance a location without the up-front investment of purchasing a portable restroom trailer outright. PRT will deliver a luxury unit to stay on-site for an extended period of time, typically 4-6 months, and remove it at the end of the season. Buying On A Budget… aka Lease To Own: For those locations or planners that are committed to buying a portable restroom trailer in the long run, but are strapped for cash in the short term, our lease-to-own program offers an affordable option to purchasing a trailer with longer terms and a lower deposit. This option is available to qualified buyers only. Financing is done through a 3rd party. Buy Now for the Best Trailer at the Best Price: PRT offers a wide selection of new and used luxury portable restroom trailers for weddings that are ready and waiting to be delivered. This option will allow you to purchase a new trailer at a fraction of the price of leasing it. In addition, buying a unit outright allows you to take advantage of tax incentives and recover your investment down the road. We offer various financing options through a third party.